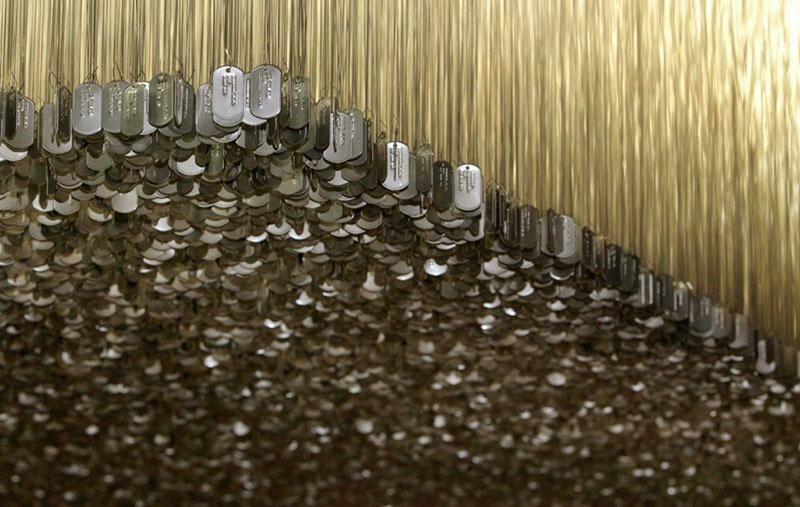 A new art installation at the Harold Washington Library in Chicago, called “Above and Beyond,” features over 58,000 replica dog tags — one for each American soldier killed in the Vietnam War. 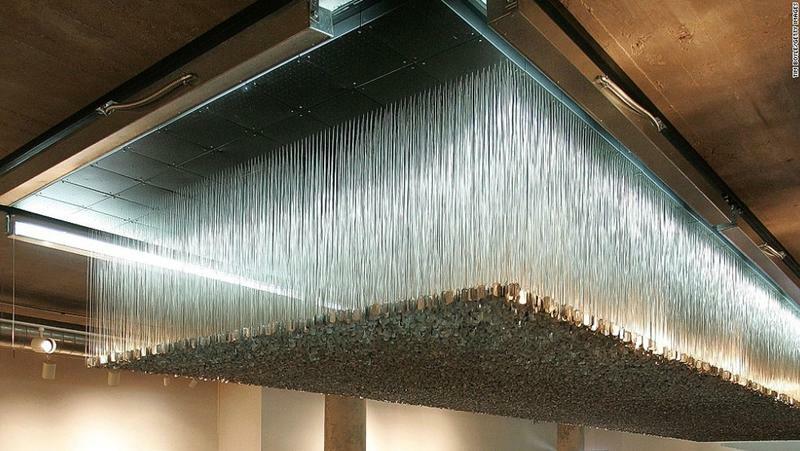 The dog tags, each hung one inch apart, are suspended from the ceiling from a 410-square-foot rectangle. 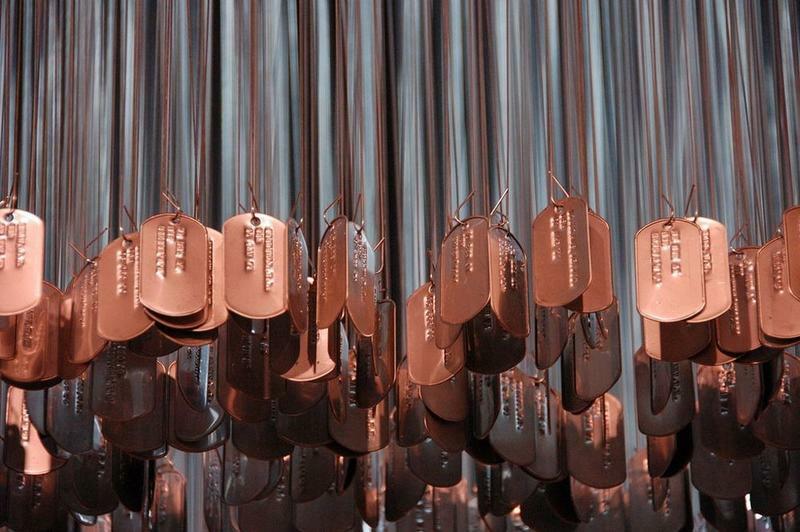 Each dog tag has the soldier’s name, military branch and date of death. Nearby is a touch panel display that allows visitors to look up a veteran's name and find generally where the soldier's dog tag is hanging. 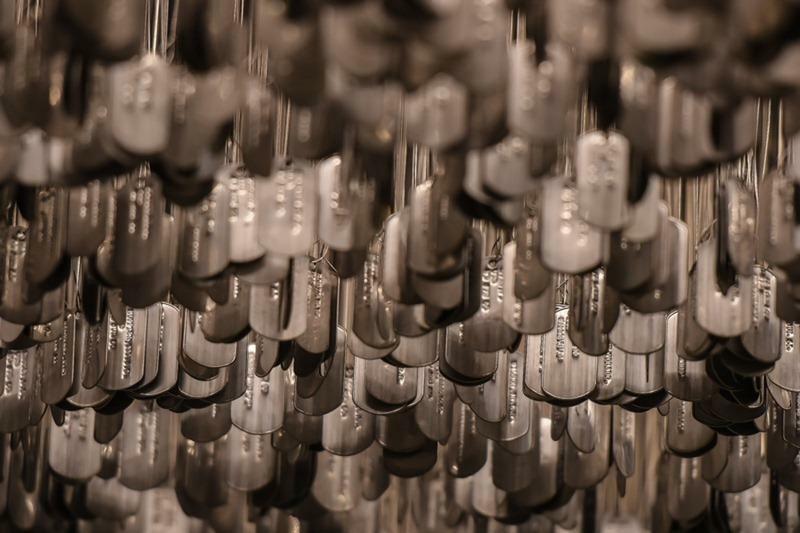 It is the only memorial other than The Wall in Washington, D.C., that lists every individual killed in Vietnam. 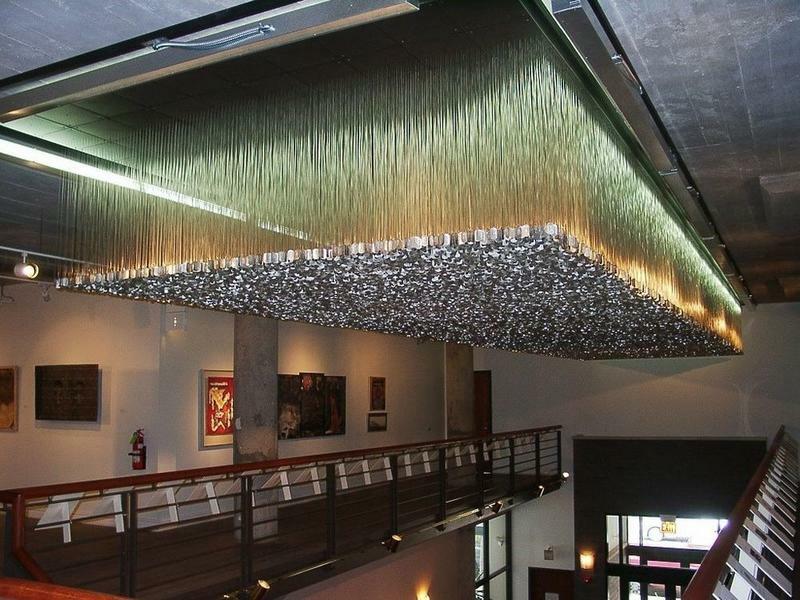 Above and Beyond was created by artists Ned Broderick, Rick Steinbock, Joe Fornelli, and Mike Helbing, back in 2001 and originally hung at the National Veterans Art Museum, in Chicago. 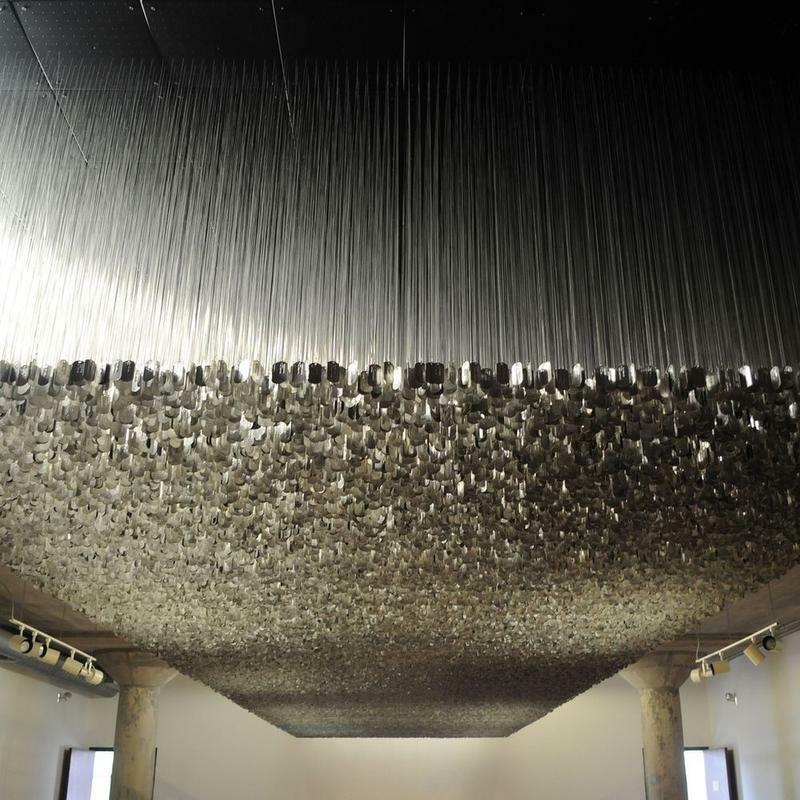 When the art museum moved to Portage Park in 2012, the installation stayed behind in the South Loop building until renovation at the building forced the installation to come down in May 2013. 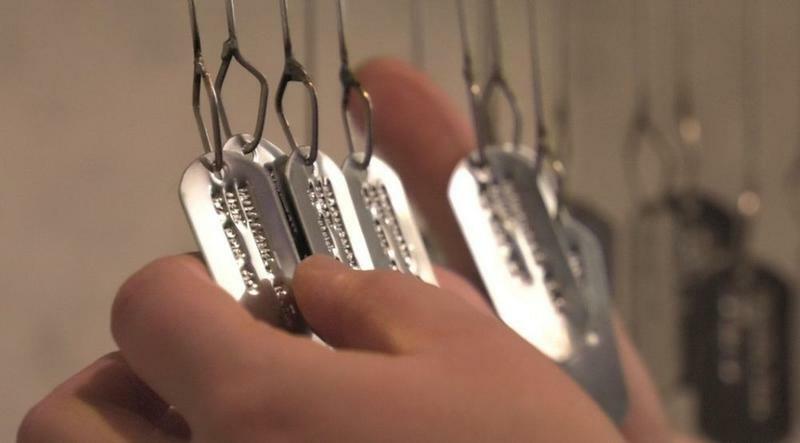 For the next four years the dog tags remain boxed because the museum couldn’t find an appropriate location where the display could go up again. The search for the perfect spot for "Above and Beyond" wasn't easy. The size and weight of the piece, not to mention the fact that it must be viewed best in natural light so the sun can play off the tags had to be considered. Viewing it from all sides was also a requirement. Locations that were considered included the city airports, Navy Pier and the South Shore Cultural Center. Finally the Harold Washington Library was chosen. The art piece now hangs from the ceiling above the main escalator. There is a wall of windows and viewing space from all sides on the third floor. "Above and Beyond" will stay at the Library Center until 2020.